UPDATE: Trader Joe’s has confirmed that their orange juice is not sourced from Brazil. I first wrote about the presence of carbendazim in shipments of orange juice to the United States earlier this month, and recommended that consumers purchase only 100% Florida orange juice to avoid the unregulated levels of carbendazim in foreign shipments. You can read my original post here. Presently, all Trader Joe’s refrigerated, fresh orange juices are made with oranges sourced from Florida, Mexico and California. Our vendors regularly perform third-party quality assurance audits. In light of recent concerns related to orange juice concentrate, our orange juice suppliers are currently conducting additional testing. Two of our refrigerated orange juice labels state they are from USA, Brazil, Mexico and Costa Rica. However, our suppliers have confirmed that the oranges currently used in our product are actually from Florida. Author WEPosted on January 25, 2012 August 11, 2012 Categories Breaking Health NewsTags carbendazim, orange juice, Trader Joe's3 Comments on Update: What’s In Your Orange Juice? A while back, I bought a package of dried wild blueberries from Trader Joe’s. 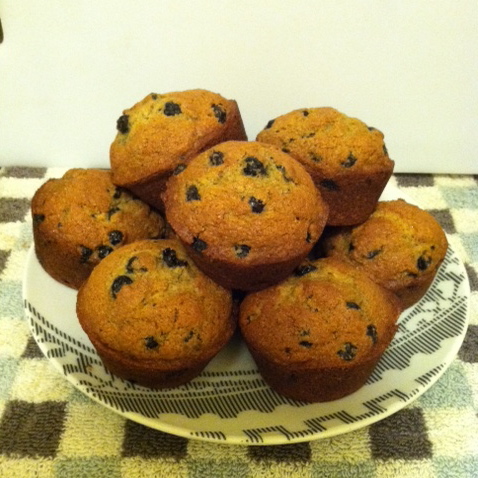 They were exceptionally sweet and impossible to eat plain, so I finally got around to using them in a batch of blueberry muffins this weekend. Since few recipes meet my health standards, I tweaked this recipe to create my own. The blueberry muffins I made — with whole wheat flour, wild blueberries, and evaporated cane juice — turned out beautifully. Although I don’t eat much bread, every now and then I have a craving for homemade baked goods. Since I live alone, this often means I am eating a large portion of the batch myself over the course of the next week or two (though my boyfriend helps!). If you eat cookies, cakes, sweet breads, or any pastries, I highly recommend you take the time to bake yourself some treats from scratch. Baking gives you a visual understanding of how much sugar and butter you’re consuming next time you have a craving for cookies. 1. Choose recipes that call for healthy ingredients. The easiest way to bake something delicious and healthy is to let someone else design the recipe! Choose well-reviewed recipes that call for healthy foods like oatmeal, fruit (bananas, apple sauce), milk, dates (a natural sweetener), nuts, peanut butter, etc. Choose recipes that have less butter and sugar. Note: If you’re baking for others, keep in mind that butter and sugar are usually the keys to impressing with your baking skills, so you probably don’t want to leave them out completely. 2. Replace white flour with white whole wheat flour. I buy whole wheat flour at Trader Joe’s, and I use it to replace white flour in any baked good that can be considered a snack (muffins, breads). Replacing white flour with whole wheat flour is a simple fix that requires no other changes to the recipe. I’ve successfully used whole wheat flour to bake banana bread, pumpkin bread, applesauce bread, and blueberry muffins. Note: Not all recipes lend themselves to whole wheat flour. I once baked a batch of chocolate chip cookies with half whole wheat flour, and yes, they were edible, but I felt like I had to apologize for them every time someone ate one, and explain, “I used half whole wheat flour!” They just weren’t chocolate chip cookies. 3. Replace white sugar with evaporated cane juice. I buy evaporated cane juice from Trader Joe’s, where it’s labeled “Organic Sugar.” When using evaporated cane juice, you can use less sugar with the same effect; start with approximately 25% less. I haven’t tried replacing brown sugar with evaporated cane juice, but I’ve heard that you can use a combination of evaporated cane juice and molasses — please leave a comment if you’ve had success with this. Be aware that evaporated cane juice gives baked goods a deeper golden color, so if you’re baking something that must be white, you will need to use regular granulated white sugar to achieve that lily white appearance. 4. Replace vegetable oil with butter. This may seem counter-intuitive if you haven’t reviewed the science on fats recently, but most reputable health experts today believe that all-natural butter is healthier than highly-processed vegetable oils or margarine. So throw out the vegetable oil and never use it again! The fats/oils you should keep in your cupboard: butter, olive oil, and coconut oil. Bonus: Butter gives baked goods that comforting baked-by-Grandma, perfectly-soft texture. I’ve never had a problem replacing oil with the exact same amount of melted or softened butter (1/3 cup of vegetable oil = 1/3 cup of butter). 5. Last but not least, don’t forget to enjoy yourself! Experiment with recipes. Taste the batter. Take a photo of your creation. Eat slowly. Bring a friend an unexpected plate of something tasty. Some recipes call for white flour and white sugar, and that’s okay. (Hey, at least you’re not buying chemical-laden pastries at the grocery store!) Save recipes that require white flour and white sugar — like cookies and cakes — for special occasions (birthdays, congratulatory celebrations) that are shared with guests, visitors, or friends, and make them a real treat! 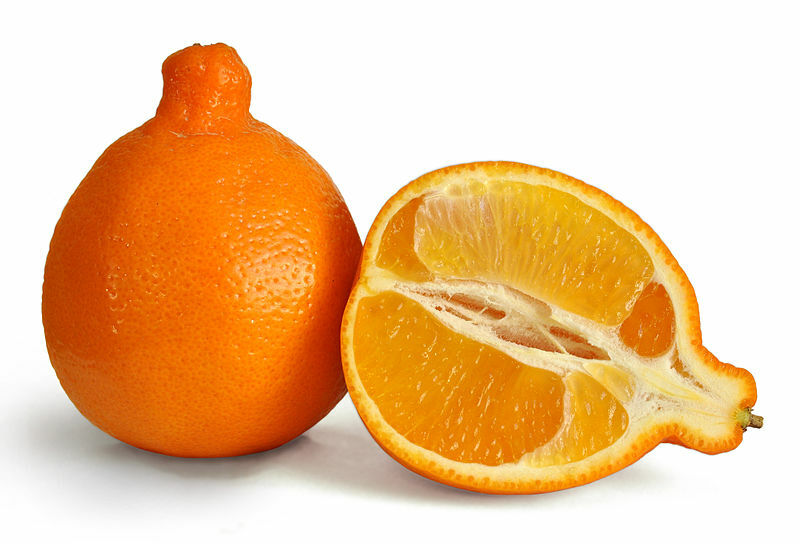 Early this month, the FDA announced that shipments of Brazilian-sourced orange juice contain carbendazim, a fungicide that has been linked to infertility, testicular damage, and birth defects. Carbendazim is not approved for use as a fungicide in the United States. In 1996, a US Supreme Court awarded Donna and Juan Castillo $4 million after Donna was inadvertently sprayed with the fungicide while pregnant with their son, John. John was born with no discernable eyes. The U.S. Supreme Court ruled that John’s severe birth defects were a direct result of Donna’s exposure to carbendazim. Coca-Cola has admitted “its [brands] and its competitors’ brands” of orange juice have been contaminated with carbendazim — but refused to name specific brands. Coca Cola is the owner of Simply Orange and Minute Maid; Tropicana and OceanSpray are owned by Coca-Cola’s competitor, PepsiCo. The FDA has admitted that contaminated juice is currently on grocery store shelves in the United States. The Environmental Protection Agency has said that carbendazim levels up to 80 parts per billion are not considered harmful. However, the FDA has declined to state whether they will follow the EPA’s recommendations regarding safe levels of the fungicide. “We are saying that if we find any juice that presents a safety hazard, we’ll take steps to remove it from the market,” FDA spokeswoman Siobhan DeLancey told USA Today. 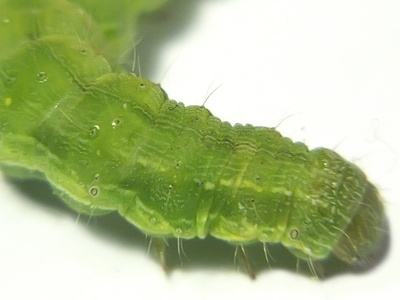 Carbendazim belongs to a class of fungicides that fight a fungus called eyespot. Eyespot causes dark, round spots on fruit, making it unattractive to consumers. Ironically, fungicides are considered the least effective solution to eyespot, since eyespot quickly becomes resistant. Orange juice, whose popularity in the United States was influenced by our need to get Vitamin C to American soldiers serving overseas during World War II in a product with a long shelf life, has an interesting history. Today, consumers are faced with many choices: concentrate, not-from concentrate, Vitamin D-fortified. 1. Buy 100% Florida Orange Juice. In this case, the affected orange juice is from Brazilian groves. Some would argue that the legal pesticides used in the United States are in some cases even worse than those that are illegal; however, in the case of orange juice, the United States has tighter regulations than Brazil. Most orange juices sold in the United States are a blend of Floridian and Brazilian juices, so check the label to be sure you’re purchasing orange juice harvested only from American groves. 2. Skip Calcium & Vitamin D-Fortified: Increasing evidence shows that our bodies do not process added vitamin supplements in the same way that we process those vitamins when consuming the foods that naturally contain them. If you are short on calcium and Vitamin D, eat foods rich in calcium (dairy products, broccoli, almonds, brazil nuts, and leafy greens) and take a 10 minute stroll outdoors (for your daily dose of Vitamin D). In fact, supplemental calcium and Vitamin D from unnatural sources have no demonstrated benefit and could even be harmful. 3. Skip Not-From-Concentrate: Or don’t. Whether you’re purchasing From Concentrate or Not-From Concentrate orange juice, your juice is heated, pasteurized, stripped of flavor, stored for up to a year in million gallon tanks, and then re-flavored with a cocktail of flavor-enhancing chemicals that the FDA does not require be listed as ingredients. Some juices, such as Whole Food’s 365 brand, buck this trend and do not allow the use of “flavor packs,” which are standard in the orange juice industry. On the other hand, orange juice from concentrate undergoes this process and is stripped of its water content, which is re-added before packaging. 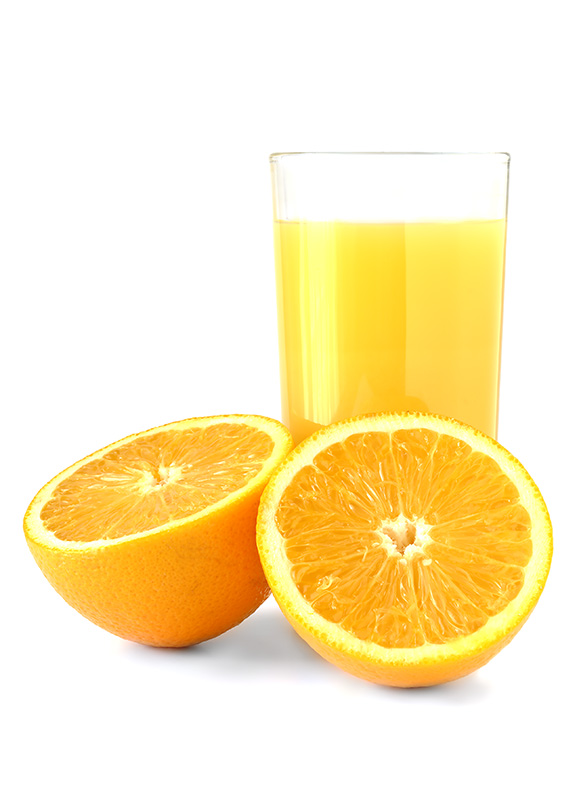 Concentrating the orange juice is one small step among many — and the least concerning from a health standpoint. If you prefer the taste, go ahead and buy not-from-concentrate. If you don’t have a preference, save yourself the extra dollar. 5. Eat an orange instead: Avoid the empty sugar rush of fruit juice by treating yourself to the fruit itself. The fiber in an orange helps slow down your body’s processing of fructose, which is less jarring for your body and mind. Drink a tall glass of water and eat an orange. Compared with juice, the whole fruit always has fewer calories, less sugar, and more fiber. 5. Buy Fresh-Squeezed or Organic: If you can afford it, buy fresh-squeezed or organic orange juice. The pasteurization process strips orange juice of its flavor, which is why chemical flavor packs are used to compensate. Fresh-squeezed orange juice bypasses this problem altogether. Update 1/18: Since I do my grocery shopping at Trader Joe’s, I have sent a Product Information Request to Trader Joe’s, asking whether their orange juice has been affected by the contaminated shipments from Brazil. You can read Trader Joe’s response to me here. Author WEPosted on January 17, 2012 July 16, 2014 Categories Breaking Health NewsTags carbendazim, Coca Cola, fortified, from concentrate, not-from-concentrate, orange juice, organic, pasteurization, PepsiCo, Trader Joe's3 Comments on What’s In Your Orange Juice? If the poor reputation of genetic engineering is leaving you depressed, you have to read this: Notre Dame professor Malcolm Fraser’s team of researchers is using their transgenically-engineered silkworms to produce silk that is strong enough for “sutures, artificial limbs and parachutes.” That’s the power of genetic engineering in the right hands! Although silkworms lend themselves to farming, we have long known that spiders have the strongest silk — with tensile strength comparable to steel! But spiders’ sprawling webs are unwieldy when compared with silkworm’s dense cocoons, and spiders tend to be cannibalistic and territorial, making farming difficult. Try as they might, no one had found a commercially-viable way to harvest spider silk. So Fraser’s team engineered silkworms with both silkworm and spider proteins to produce the best of both worlds. If the transgenic silkworms’ silk is used to create parachutes, this story of genetic engineering could prove — literally — uplifting. If you have a weak stomach, feel free to skip this story. In November of 2009, Ronald Ball of Wisconsin purchased a can of Mountain Dew from a vending machine. Ball claims he took a swig from the can, felt ill, and poured out the contents of the can to find a mouse carcass. As Ball’s story goes, he sent the mouse to PepsiCo at their request, and they destroyed the evidence. He’s now suing PepsiCo. The story was first reported by MadisonRecord.com in July 2010. Though the lawsuit has been unfolding for more than a year, it’s just now gaining mainstream publicity due to PepsiCo’s stomach-churning defense. Experts for PepsiCo argue that Ball’s claim must be false because after 30 days in a can of Mountain Dew, the mouse would have morphed into a “jelly-like” substance due to the acidic content of Mountain Dew. The response of most outlets has been something along the lines of “If Mountain Dew can eat away the carcass of a mouse, what is it doing to the inside of your body?” There are many reasons not to drink Mountain Dew and soft drinks in general (one of which I wrote about yesterday) but their acidity levels is one of the least causes for concern. Mountain Dew’s acidic quality is probably due to concentrated orange juice and citric acid — the only natural ingredients it has. Many natural, healthy foods and drinks are acidic. Yes, soft drinks can disintegrate bones and teeth, but that’s why we brush our teeth and don’t gargle with them. A healthy human body is used to ingesting acidic substances. In fact, our own stomach acid has a pH of 2.00 as compared with Mountain Dew’s 3.22. As this pH chart shows, lime, lemon, and cranberry juice are more acidic than most soft drinks. While soft drinks tend to hover at the top of the chart, other fruit juices, teas, and coffee are distributed throughout. I hate to say this, but a mouse carcass in a variety of citrus juices would probably meet the same “jelly-like” fate. That doesn’t mean you should give up your daily glass of orange juice. Now PepsiCo is no angel. Shame on PepsiCo for destroying evidence. When you’re the defendant, no evidence is probably best, regardless of innocence or guilt, since our justice system requires proof beyond reasonable doubt and a lack of evidence creates doubt. Still, if Ball is lying, PepsiCo could probably have won this case without resorting to destruction of evidence. 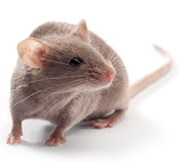 Though it seems unlikely to me that an in-tact mouse made its way into a can of Mountain Dew, PepsiCo’s destruction of evidence makes me wonder. Their defense regarding the disintegration of the mouse, however, is a legitimate explanation that does seem to debunk Ball’s claims. PepsiCo is savvy enough not to admit something incriminating — acidic content is not incriminating.